Long time no posting. I’ve been busy trying to live an organized life, but failed yet again. However, I found out what I want this blog to be about, how I want it to look like and now I just can’t stop thinking about it!!! 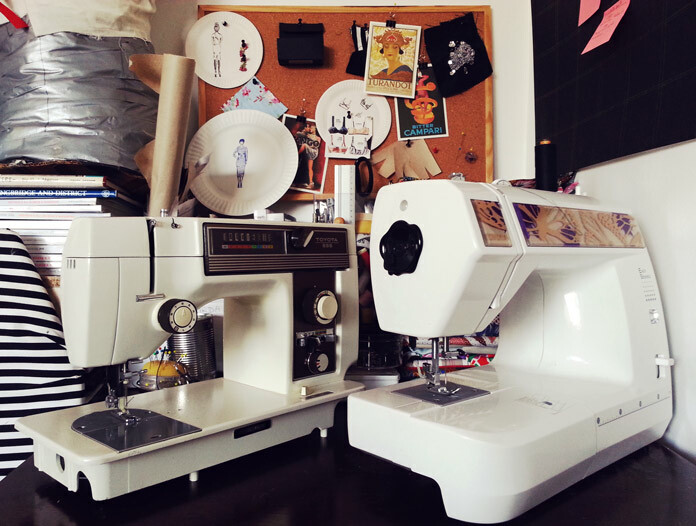 So what better way to restart my little journal of all things handmade, than to introduce you all to the new addition to my robotic family. Welcome the TOYOTA 555! Last night my Dad found it exactly where we first lived when I moved to London 5 years ago. It was attached to its desk/cabinet, which after some persuasion found its new -temporary- home in the garage where my Dad keeps his hoard. 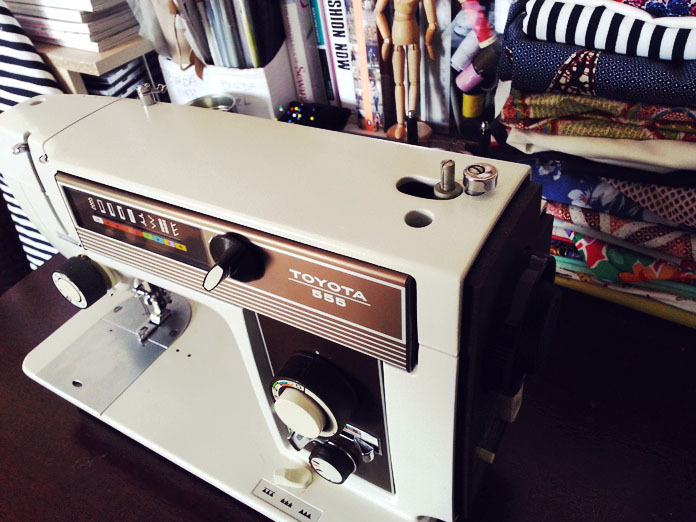 So if anyone knows where I can find one, or the year the machine was made (I’m curious like that), please give me a shout! Hi, sorry for replying so late. 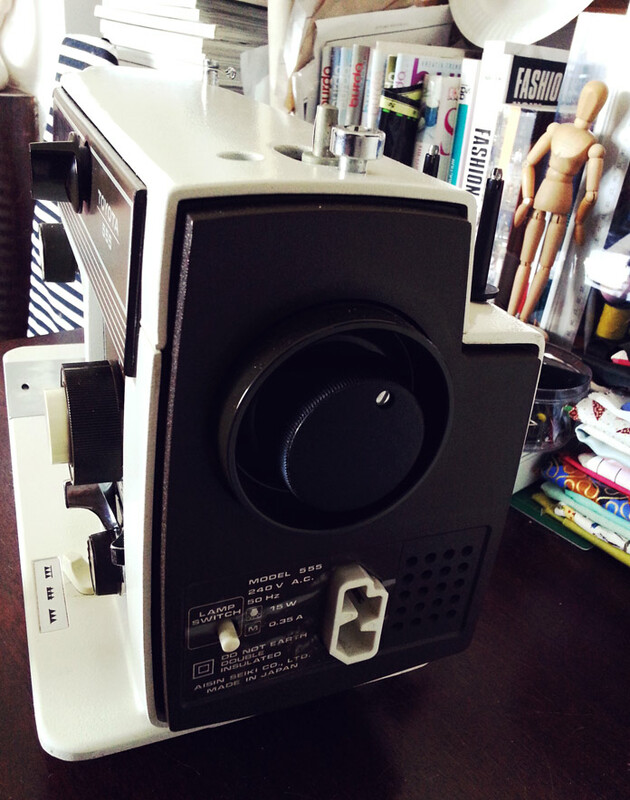 Unfortunately I’ve never got to try using it as I’m missing the cable and don’t have the space for an extra machine. It sounds really strange though. Does it not sew at all, or does it do a zig-zag instead of the straight stitch? Maybe you need to adjust the stitch width and length. 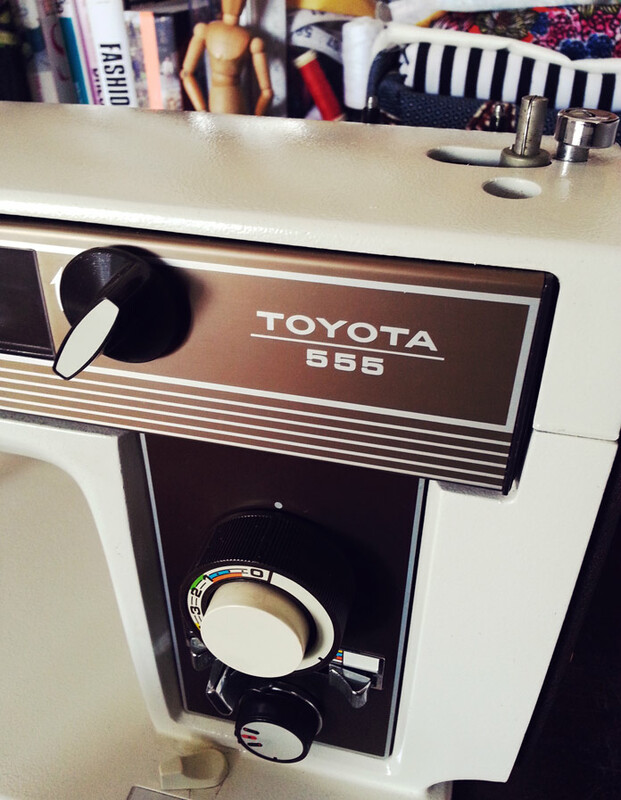 My current, modern Toyota has preset stitch settings, but I noticed that you can adjust everything on this old one. Let me know how you get on! You’ve probably sort this out long ago but for others who may have the same problem I offer the following..
First, forget the straight stitch plate, just leave the zigzag plate in place. it’s fine for almost anything you will want to do.. 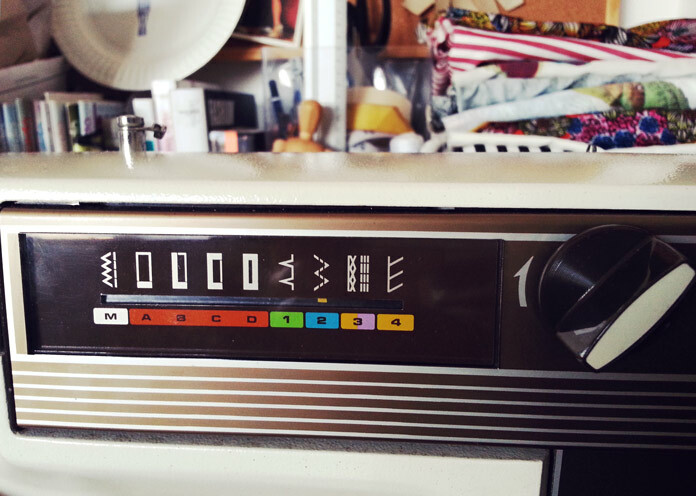 Turn the ‘stitch selection’ control knob at the top of the machine clockwise until the small (hard to see) white bar along the bottom of the straight dial shows under the first pattern on the extreme left (it has a vertical zigzag along side the vertical dashes which indicate a straight stitch). This control only rotates clockwise and is designed to continually rotate in that direction and will ‘fly back’ back to it’s first position with continual rotation – try it! 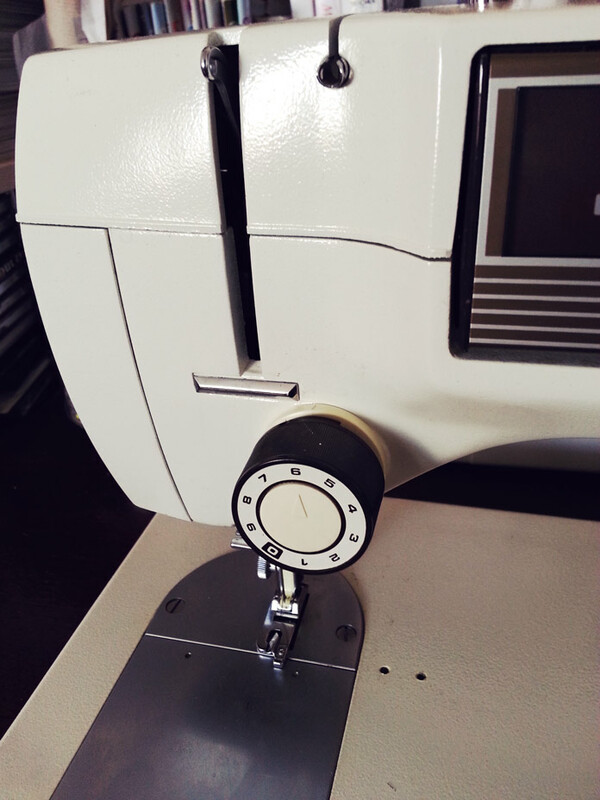 Make sure that the ‘zigzag width’ indicator lever below the ‘reverse stitch’ button is set at ‘0’. 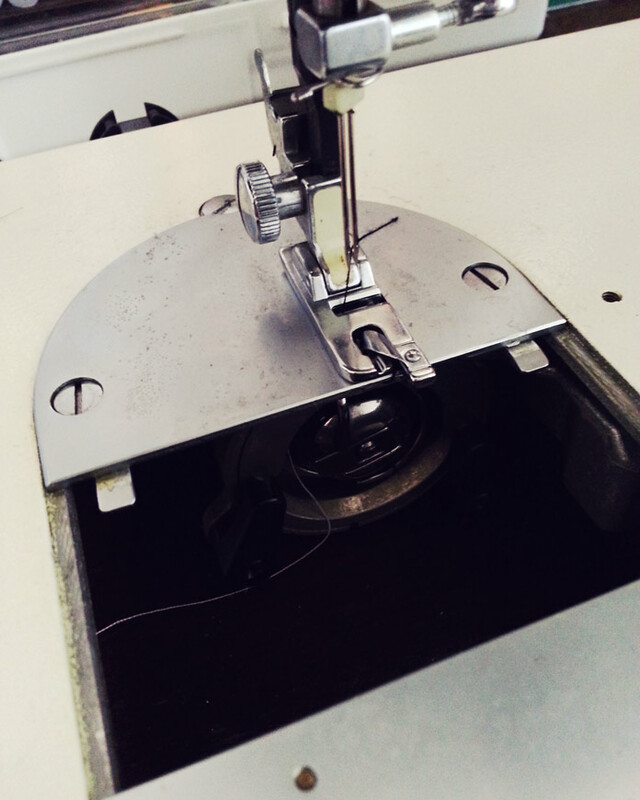 Dial in your required stitch width on the ring around the ‘reverse button’………..and away you go! Oh, and don’t forget, ALWAYS make sure that the needle is OUT of the work BEFORE you alter the zigzag width. Well, here we are, Us sad lots…I was given one of these a week or so ago. 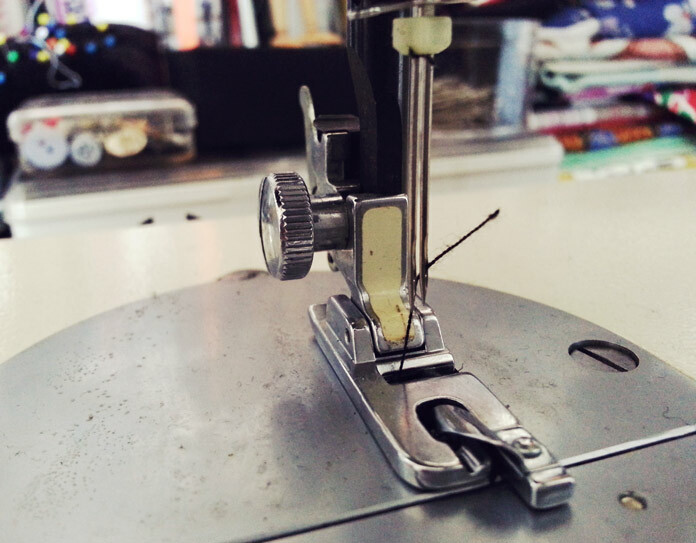 I’m no stranger to sewing machines (yes I’m a man…) and so without an instruction manual I was able to thread the cotton and replace the bobbin however, even I found it confusing trying to get a straight stitch and the right tension…. I bought mine new around 1978. I found a foot pedal via an Internet search but it was about £40.